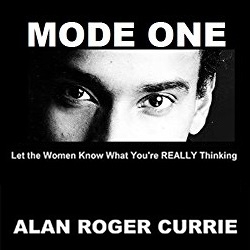 Alan Roger Currie, known to his fans and clients as "The King of Verbal Seduction," will celebrate the 20-year anniversary of his very first eBook next month titled "Mode One: Let the Women Know What You're REALLY Thinking," which Currie first self-published in May 1999. Currie's book was the first book in what is commonly known as the "Pickup Artist Community" and "The Manosphere" to place a high degree of emphasis on the art of developing confident, straightforward "verbal game" with women. Los Angeles, CA, April 12, 2019 --(PR.com)-- When it comes to attracting women, what exactly does it mean for a man to have what is known as "game?"